There are just two weeks left to vote for the Choice Award organized by Controls Engineering. 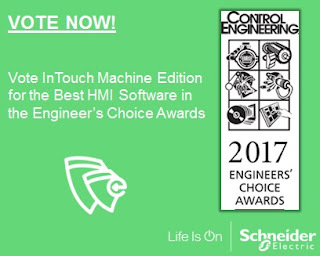 Our Wonderware InTouch Machined Edition is one of the many Schneider Electric finalists. 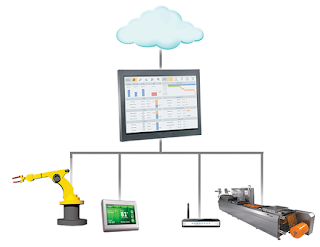 Seamless Integration with Wonderware portfolio offers (e.g.System Platform, Historian, Wonderware Online) a natural extension for Wonderware customers looking to take advantageof IIoT applications. Native drivers to more than 240 communication protocols including support for MQTT driver, all major PLCs and many other devices. access on smartphones and tablets without any software installation. You must be a subscriber to vote, but you can subscribe before voting to make sure that your voice counts. We could not be the forward-thinking and innovative company we are without your support, and we thank you for your enthusiasm! To vote for the Wonderware InTouch Machine Edition please click here.